Over the next few months, we’ll be releasing a series of reserve line Oregon straight whiskeys. These premium whiskeys are fermented and distilled in-house at our distillery in Southeast Portland. Each one spends over three years aging in new charred American oak barrels to mellow and enhance their flavor. 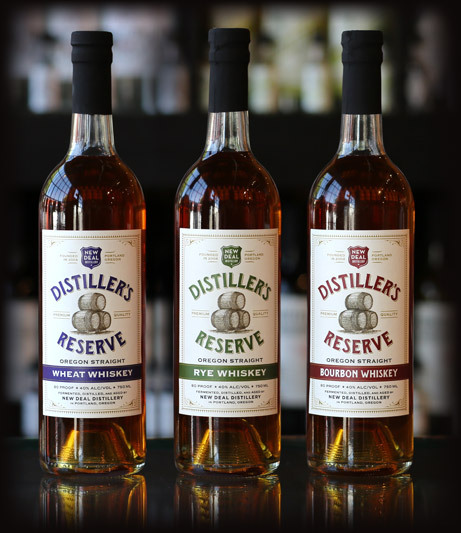 Our wheat whiskey was the first of our distiller’s reserve whiskeys to be released, followed by our rye, and soon our bourbon. We hope you enjoy!